We are proud of our land, our people and our wines. 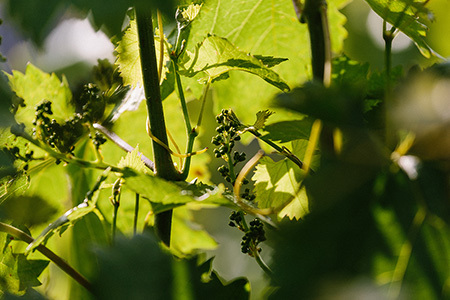 Tirelessly we pursue care and improvements in the vineyards, respecting the local biodiversity. 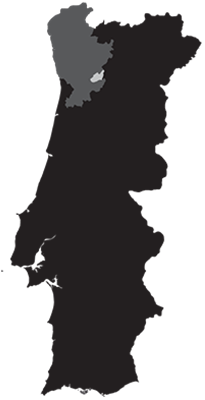 We believe that this way, we will achieve excellence in the wines we produce. This property is unique thanks to the excellent combination of features it exhibits. 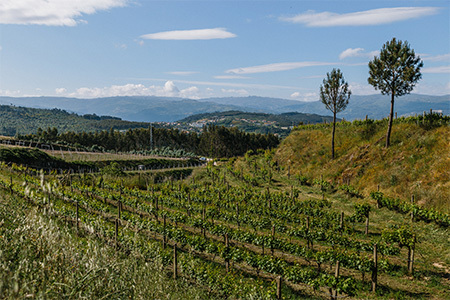 This is a contiguous and enclosed area of 33 ha vineyard in Vinho Verde (Green Wine) region, more precisely in the border between Baião sub-region and Douro region. It is divided into terraces supported by granite walls and serviced by paved access. All of these are features of excellence, unique for the winemaking in this region. The existing old cellar tells the story of a big wine farm, despite the need for full recovery and reconstruction. 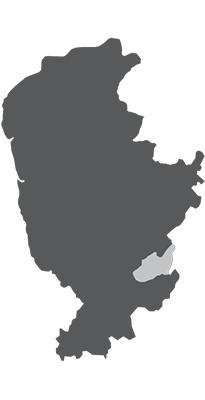 To address this need, in 2015 the farm was equipped with a provisional cellar, which is the current winemaking centre of A&D Wines. 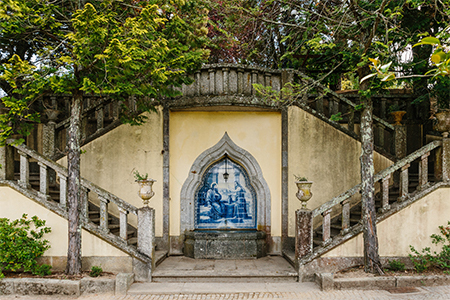 At Quinta de Santa Teresa there are several buildings of relevant architectural value, from the main house to other small-sized houses, both for living and to support farming. 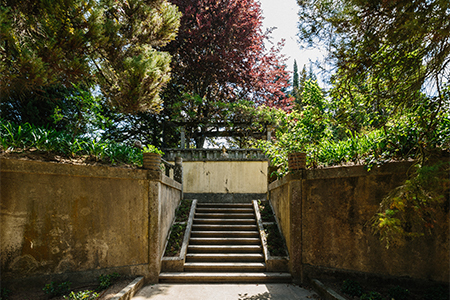 All over the property you can find gardens, lakes, tennis fields, a swimming-pool and a wood which offer us plenty of cosy places and beautiful corners. Here we produce the grape varieties Avesso, Arinto, Alvarinho and Malvasia for the whites and Touriga Nacional and Vinhão for the production of Rosé. The vineyard is composed of restructured plots about 10 years old and other old vineyards parcels. Beyond the winemaking activity that we regard as the main activity in this farm, we understand its great potential for the development of the enotourism activity that we are planning to develop in a near future. It has been a family farm for several generations. Here we started and learned the art of viticulture and winemaking. We recognize the same importance and nobleness in both activities. 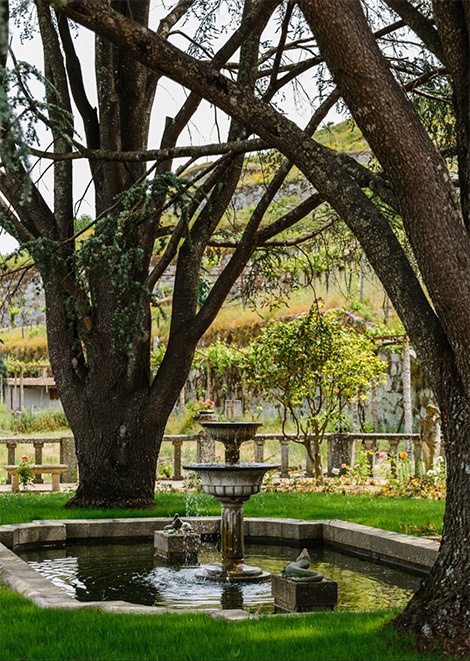 The proximity of Marão mountain range provides a mixture of sunny days, cool breeze and well-drained granitic soil, which are adequate features for cool climate viticulture. It is composed of several plots, totalling 5 ha of vineyard of about 20 years of age. 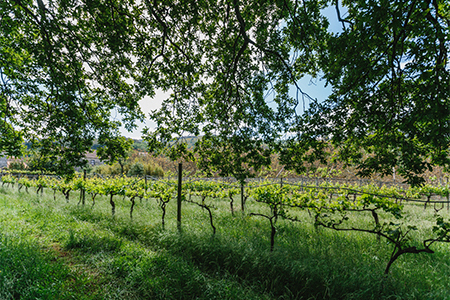 The vineyard comprises Avesso, Arinto and Alvarinho grape varieties and is surrounded by walnut groves, fruit trees and forest that enrich the biodiversity of the property. Here everything is authentic. Every product that the ground gives us presents us with rich and unique aromas and flavours. It benefits from a unique micro-climate. Good sun exposure, hot days and wide temperature variations definitely contribute to the character of the wines produced here. 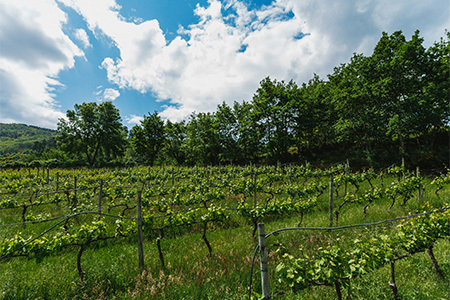 The vineyard is composed of plots with grape varieties Avesso and Chardonnay, being organised in narrow terraces that accompany the contours of the land. The Quinta dos Espinhosos designs true meanders in the local landscape. This property comprises an area of 7 ha vineyard. Also here do we appreciate and protect the local biodiversity, from which stands out the rosemary plant, present in abundance in the slopes of the vineyard. 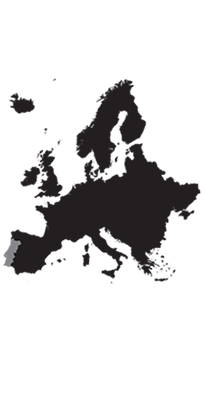 The cultural heritage of Old World wines is firm testament to the success of long established practices winemaking practices and the use of new techniques that allow to give birth to wines of great character. Tradition and terroir are the pillar from which old world wines are usually made from. One of the oldest wine producing countries of the world, Portugal to this day embodies diversity in the amount of regions and grape varieties used to produce wines. The Vinho Verde region is divided into nine subregions located in the Minho province, located in the northwest of Portugal. An area mostly known for its white wines whose focal points are its aromas and freshness. 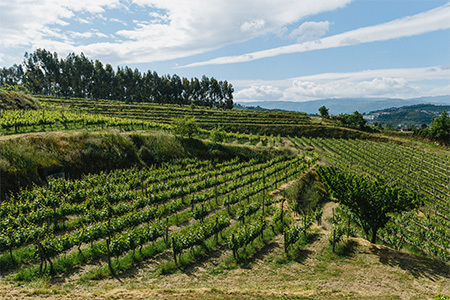 Located in a region of transition between the Douro and the Vinho Verde region the wines produced here are complex, aromatic and have an interesting evolution over the years. Avesso is typically grown in this region and features flavorful and aromatic wines.